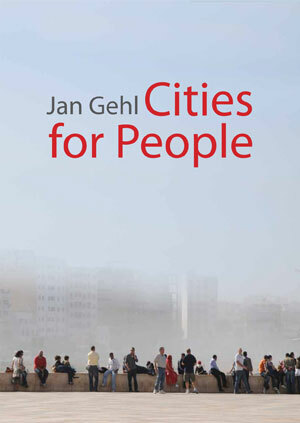 Jan Gehl, an architect and urban designer, is principal of Gehl Architects – Urban Quality Consultants, based in Copenhagen. Gehl has worked with a number of cities, including Copenhagen, London, New York City, and Guangzhou on how to become more people friendly. His most recent book is Cities for People. In your new book Cities for People, you say that the way cities have been planned and developed dramatically changed over the past few years, much for the worse. What happened to many cities? What went wrong? The big change in paradigms happened around 1960. At that time, we had a modernist ideology but we didn’t use it very much because we were still adding small units to existing cities. It’s only when cities took off and planning really went up in scale and there was a rapid expansion of cities did the modernist principles become applied in practice. That meant that we were able to mass produce big buildings that could fill the whole landscape. At the same time, planning took off as a profession. They took off in airplane so they could organize the new optics of the big city. Typically on a big model, you push around with the optics until bingo you had something that looks like some wonderful composition. Brasilia, the capital of Brazil, is a great example. From the air it’s very interesting. It’s interesting for a bird or eagle. From the helicopter view, it has got wonderful districts with sharp and precise government buildings and residential buildings. 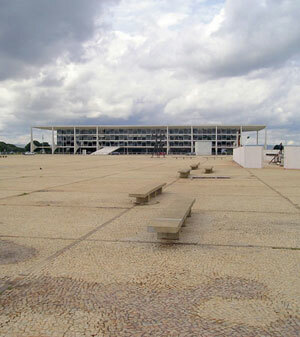 However, nobody spent three minutes to think about what Brasilia would look like at the eye level. That was typical — planners were to look after the plan, the architects were to look after the buildings. With modernism, they were free of the context of the city. They placed it on open lands surrounded by grass. Nobody was responsible for looking after the people who were to move in these new structures. You would think that the landscape architects were the ones. At least they were down at eye level and were moving around. But as far as I’m concerned, some landscape architects have done great jobs for people, but most of the work is not great, just silly benches. They’re more occupied with plans and form. There’s a general pursuit of form in the area of architecture and also in the profession of landscape architecture. So, what really happened was that the eye level stuff were handled by the traffic engineers. They are the ones who mostly shaped our environments in our cities. I sum up that in 50 years nobody has systematically looked after a good urban habitat for Homo sapiens. We have written very few books about it. There’s been very little research done. We definitely know more about good habitats for mountain gorillas, Siberian tigers, or panda bears than we do know about a good urban habitat for Homo sapiens. Nobody has taken an interest. If you look at the planning schools, you will find they don’t have a systematic education around the people scale and the small stuff. Look at the architecture school, are there any psychologists, sociologists, or doctors? No. They have a little bit of insight but then they go on making their funny perfume bottles. The landscape architects, maybe they are the nicest. I always felt, visiting landscape schools, that they had a nicer atmosphere. They were closer to the ground. But still the education concerning people is very weak if nonexistent. You argue that caring for people in the city is central to achieving “lively, safe, sustainable and healthy cities.” What are the best ways cities can care for their people? It is my very firm point of view that if we take a more systematic approach and take these “cities for people” more seriously we will find that the cities would be considerably more friendly, livable, and lively because people will be in these cities more. We will find that the cities will become more attractive because the scale will be smaller and the pace and noise is lowered. The cities would be dominated by other people, which is the most interesting thing in our lives. They would be safer because if people are using a city it will be safer. They would be more sustainable because suddenly it’d be much easier to make cities where we can have a good quality public transportation system, where we can walk in style and dignity to and from the station day and night in safety and have a good time doing it. A good public transportation and a good public rail, they’re brothers and sisters. Finally, and this may be the most important thing, we would have natural activity built into the day. In many countries, a world has been organized where you don’t have to move at all. In the old days, most of us had manual work. We had to shovel or brick lay or paint or plow the whole day. Now the great majority in the Western world is sitting throughout the day, sitting in the morning, sitting on the transport, sitting during work, sitting on the transport and sitting in the evening, tired and looking at television. In this way there is no natural activity built into the day. You have to set aside special fitness time. Some do but most don’t. That is why cities like Copenhagen, Melbourne, Sydney, New York and Vancouver now have a specific policy. These cities will do whatever they can to invite people to walk and bicycle as much as possible in the course of their daily activities. Only one hour of moderate exercise like walking for half an hour to work and half an hour back, or bicycling, can give you an extra seven years of life. If people will please start to move around themselves again, it will also give a much lower health bill to society. To facilitate this, we can do a number of things. We can simply make sure that car parking lots are far away from where you have to go and there are many stairs in front of you instead of many escalators. There’s a number of things we can do to make a bicycle system really efficient — like in Copenhagen — so we hardly consider taking the car. I have a car and it could easily be three weeks where I don’t touch it because it’s smarter to walk, bicycle or take the bus or metro to most destinations. It’s only when I have to go out in the country then the car starts to be smart. This is a new type of city which is becoming more and more prominent because more and more city councils are deciding to do this. In Copenhagen, where they put all the expenses into a big computer, they are analyzing the cost of a person bicycling for one kilometer for society vs. the cost of a guy doing the same in a car. They found that every time there was a bicyclist doing a kilometer, the society picked up a quarter of a dollar and every time the same distance was driven in a car, society lost 16 cents. You talk about how important it is to design for the human dimension or scale (not the building scale) and how critical our senses are in experiencing cities. What is the human scale? How can landscape architects make sure they’re incorporating this approach into their work? Ah, that’s easy because I use about 30 or 40 pages in my book to painstakingly detail what human scale is and how you can find out about it. It is of course based on Homo sapiens, the speed with which we move, the way we move, how our limbs are organized, how our movement system, how our senses are geared to our being a walking animal, and are geared to see everything horizontally. We see everything horizontally but we see very little up and a little bit more down. We can see when we communicate with people, we have a very, very precise system. If it’s intimate, we are at a close distance. If I was to tell you about a big sad story I just had with one of my grandchildren, I would lean over and it would be very personal. If it’s sort of more common, we have the public, the social distance where we yak, yak, yak, and do interviews on landscape architecture. Then we have the public distance which is the distance between the priest and his congregation, teacher, pupil, whatever. We have a number of distances which are part of our instincts and upbringing. We have been through all this evolution over all these millions of years. We are basically Homo sapiens with the same body worldwide. I’ve been able to expand my studies, which started in Italy and Scandinavia, to Bangladesh, India, China and the Middle East, and South America, where you will find all the basics are the same. If people are waiting for a bus, they will all the time stand with arm’s length between them until the bus comes because that’s part of the body, that’s part of the body whether you are Catholic or Muslim or whether it’s hot or cold. There are a number of rules that are basics that come from the body. I really have the feeling that in all cities where we feel really comfortable they correspond very nicely to the body. I can go to Venice and suddenly I relax, “ah, this is for me.” I could go to Portofino, I could go to Greek Islands, I could go to a number of places designed before the second world war, before the cars really blew the scale. In this scale story, I have something that I call the five kilometer an hour scale. 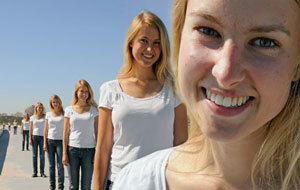 If we are to walk at five kilometers an hour, things have to be close so we can see them. There has to be frequent interesting things to see for it to be a nice walk. If you are in a car going 60 kilometer per hour, everything is blown up, the signs are blown up and there has to be something with great intervals for it to be a little bit exciting. If you, as a person, are out in a 60 kilometer per hour environment, you have the most boring time in your life. I do think that architects, landscape architects, and planners have gotten confused about scale. They constantly confuse car scale with people scale. Sometimes they make a mix, but most of the time they make car scale and say, look, there’s a sidewalk, people can walk here. What’s the problem? That is not at all exciting. Which cities are getting the human scale right? Which did the worst job over the last 50 years? Which early offenders are doing the best at undoing the damage? We do know now that it’s very difficult to undo damage. During the ’60s, European countries built social housing in big hig-rise buildings found on blocks based on modernist ideas. They had enough grass and tap water but they had nothing else. No squares or streets, maybe a playground far away. They had to go down from the 13th floor to play and, when they’re finished playing, go up again. Not easy, not easy. Many of these have become disasters. They are now occupied by the families with least resources and the most problems. They are a big problem area in England, Holland, Scandinavia, and Germany. Going in and improving them is quite difficult. To fix this mess in the no man’s land between the buildings, they tried to articulate it very tightly so there will be allotment gardens. This is your garden. There will be areas for teenagers and younger children but also they use all the space to build new row houses. There will be a higher density. There are now some people living on the ground floor who can look for bicycle thieves and muggers and all the problems that go with all these problem-families being concentrated. Also, I’ve been involved with some new towns where they were promised a fantastic urban environment and they just got the normal concrete desert. Again, it’s very expensive when they have invested all the money to come and change all the doors out on the sunny side, move the cafes away from the north and into the sun and south, and put all the benches up against the walls when they have systematically placed benches six meter from any back support. Of course, it’s much more comfortable to sit against a warm wall than sit without a back lean six meter out. So we talk about these cases where one has to parachute the little scale in: build pavilions, small gardens, and intimate spaces. We have this tendency today to over-scale everything in the public realm. We make far too many greens, boulevards, streets, roof terraces and promenades for fewer and fewer people in these new areas. What are the unique challenges facing cities in the developing world? What are some examples of smart investments emerging cities can make in transportation, parks and street space? In my book I end up by saying that it’s very well to take the cars out of Broadway on Times Square and make a nice space there. 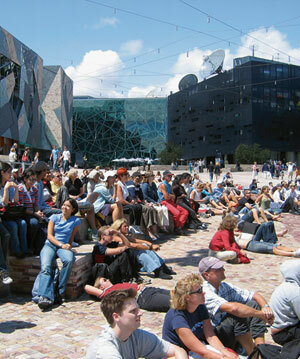 It’s very nice that we can turn Melbourne around and they would have a jolly good time in Melbourne with 15,000 café seats. But the real problem in all this is that people have not been properly taken care of for a long period because no profession has been responsible for making sure that happened. Everybody thought they knew about or that somebody else was doing it. This has been bad for Western cities, our city centers, our suburbs, our new districts, but it’s even worse now in the fast developing cities in the third world, where more and more cars or motorcycles are coming in each day, where people are being more and more suppressed, and their living conditions are falling. Livability is plunging while the economy may be going up. Of course, with this fast expansion, that’s where the major concerns should be. I have no fast answers but luckily there are a number of people there who have done marvelous things. Jaime Lerner, the former mayor of Curitiba, has done this with bus rapid transit (BRT) in Curitiba and the former mayor of Bogota, Enrique Penalosa, has done with this parks, sidewalks, and the bicycle system. So, some of the things are being done in a few places. It’s lovely, wonderful that somebody has the strength to do it. Those models really showed the way. Now there are so many copying them. A city’s edge, particularly the lower floors of a building, has a decisive influence on life in the city space. What’s the difference between hard and soft edges? Why are soft edges so important? The hard edges are easy to define. If you have a blank wall or just glass, maybe black glass or whatever, you can, as a human being, do nothing and there’s no interest. The words “soft edge” mean a façade where a lot of things happen. It could be many doors, niches, or the vegetable seller putting out his tomatoes on the street. Soft edges could be the front yard where the kids are playing and grandma is sitting knitting just behind the hedge. We have found, of course, the ground floor is where the communication between building inside and outside occurs. That’s what you see. So if the ground floor is rich, the city is rich and it doesn’t matter what you do further up. Ralph Erskine said always make the ground floor very rich, use all the money on the ground floor, it doesn’t matter what’s further up because nobody sees that. In my book, I point to several popular shopping streets where they have a shop every five meters, which coincides with the stimuli humans need every five seconds. If you walk at normal speed and there is a new door and a new exhibition every four, five, six meters, that will be just the ideal stimulation for your senses. But it also keeps room for one door and three meter of selling area. 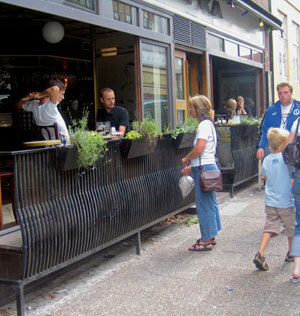 We have done some research in Copenhagen that compared a stretch of bad or dead façades with active, lively façades. There was was seven times more activity on that sidewalk. There was the same stream of pedestrians, but suddenly they stopped, looked, went in and out, and started to speak in mobile phones, and parked their bicycles. You point to the world famous Piazza del Campo in Sienna, Italy, as a “100 percent place,” a model of how to design for the human scale. What is it about this 700 year old plaza that works so well? Are there are any modern parks and plazas that work equally as well? If you take that the toolbox in the back of my book, you will find there are 12 quality criteria. 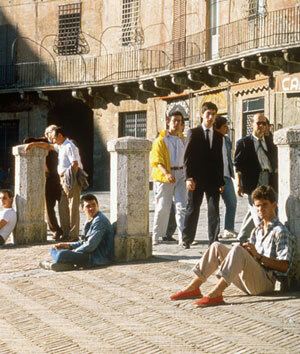 If you go to Sienna you will find that all of them are carefully observed. I know a number of new ones where they have also carefully observed them. In Copenhagen we have a place called Sankt Hans Square. In Norway they have a square in a new development called Aker Brygge. I do think that quite a few of them would be observed in the central square in Portland. I know of one place where out of 12 they have blown 13. That’s about the worst place I know. In this place, there are people in great numbers. It’s an important rail junction and there’s a shopping mall. What people hit that square, they run as fast as they can from the metro over to the shopping mall and then back again. They are in the square an average of 22 seconds. So, with the quality of the space you offer, you influence what people do enormously. Lastly, your book includes a great toolbox with dos and don’ts that every landscape architect should know. If you could magically fix just one of your don’ts everywhere, which would you choose? How the building lands is the most important of all issues. It’s all about how the land falls. Also, very few (and closed) doors, along with sleek corporate surfaces, are also a big don’t. Communities need to offer little gardens, groceries and children playing. The battle for quality is won in the small scale. This is even more true where the buildings touch the city.